An original, elegant fragrance inspired by the distinctive combination of two olfactory themes that are bursting with personality – the citrus notes of Colonia blend with deep sensuality of Ambergris, an ancient essence that is extremely rare and precious. Its characteristic scent is owed by the effect of the ocean and the wind, shaping and caressing this precious substance for many years before casting it ashore on the world’s beaches. The zesty citrus top notes of orange and bergamot evolve into a warm heart with cedar wood, rose and patchouli. Sublimated by the perfect harmony of Ambergris with sandalwood, warmed by the soft accents of vanilla, this new Eau de Cologne Concentrée reveals its unique personality in base notes of inimitable elegance and refinement. The Colonia legend is closely tied to the world of Italian tailors, the home of impeccable elegance, where class is expressed in prestige fabrics, perfect cuts, the sophisticated balance of muted colors and attention to detail. Down to the final and indispensable touch of class: a spray of Colonia before handing over the made to measure suit. A sensory hallmark of a style of dressing that is also a lifestyle. 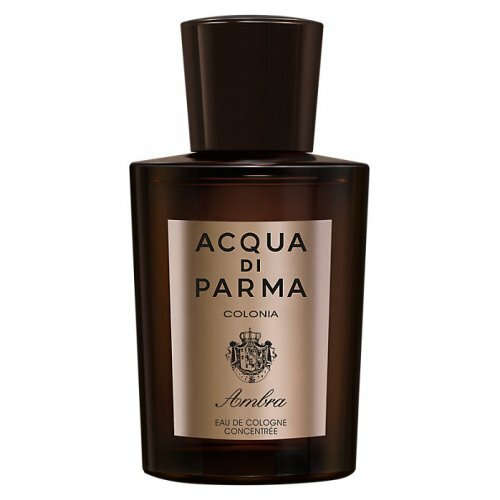 Colonia is the original fragrance that embodies classic elegance and long tradition. This was followed by Colonia Assoluta, a sensory portrait of an eclectic man (creative and curious, innately elegant), an original expression of modernity; Colonia Intensa, for intense, multi-faceted personalities, resolute and brilliant, of undisputed charisma; Colonia Essenza, the purest expression of Colonia for a contemporary gentleman; and Colonia Intensa Oud, the latest sophisticated interpretation combining the freshness of Colonia with the Middle Eastern tradition.